About six months ago, one of the DSS volunteers - Rohit Verlekar's son and his two friends conducted a small workshop on Solar System for our students at Sumashilp construction site. It generated a lot of interest among the children. 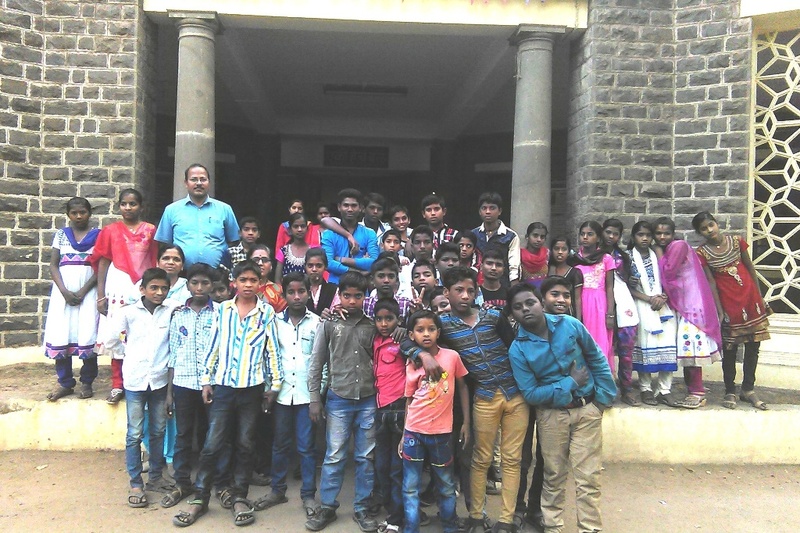 As a follow-up to the workshop, they took the kids to the planetarium at New English School, Sadashiv Peth, Pune on 9th of January, for a 45 minutes show about space and various constellations. 40 students attended and enjoyed the show. Mr. Ramdasi of New English School was very cooperative in arranging the show despite his tight schedule and explained and answered children's queries with a lot of interest. He was so impressed with the children that he voluntarily offered his services to conduct an on-site workshop wherein he would bring in his telescope and show the children an exciting view of the moon, sometime in the month of February, when the full moon can be observed. Priyanka Dnyaneshwar Mhaske, an 8th Std student from Shri Shivaji Mandir who has always shown a spark in whatever she does, also made her presence felt with some intelligent questions. Mr. Ramdasi suggested that she be sent for outbound Sky Workshops that he conducts in which he takes the students through an exciting space journey with his large telescope.